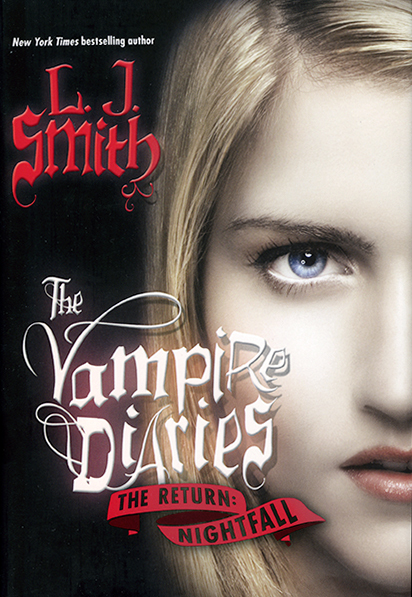 A couple of new Eclipse book covers have been popping up online in the last couple of days. This has been done with Twilight and New Moon which featured movie poster images of Robert Pattinson, Kristen Stewart, and Taylor Lautner on the covers. 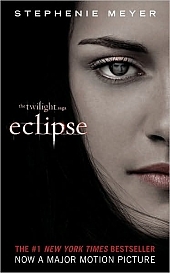 These new Twilight movie themed book covers for Eclipse should be popping up in stores soon, and will most likely be in paperback format. 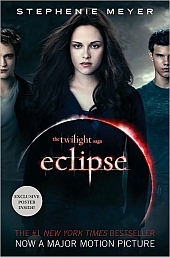 With the release of the Eclipse movie on June 30th looming closer every day, it’s likely that new Twilight fans will flock to local bookstores to purchase a revamped copy of Eclipse.